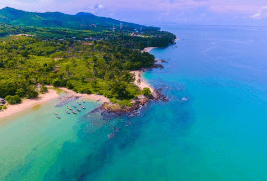 From glitzky Jakarta to cultural Yogyakarta, and through the country’s mind-boggling number of jungles, volcanos, islands, tribal villages, etc… there’s just way too much on offer to name them all! Always raining somewhere + extreme heat means you're always wet. By law, every foreign shoot in Indonesia requires a general filming permission, issued by the Ministry of Foreign Affairs (MOFA), and a more specific filming permit, issued by the Department of Tourism (DOT). OPTION 1 : The client can apply directly to their local Indonesian embassy (in their country of residence). Once the general permit is issued by the MOFA, the application will be passed on to the DOT for their approval. While we can’t be of much help during the first step, we can (and do) check with DOT here in Indonesia to ensure that the application is processed in a timely manner. This is the cheapest option, but often time-consuming and a bit stressful for our clients. OPTION 2 : We can apply for everything in your name if we act as co-producer. In this case, there is no need to contact the local embassy for any filming permits, though depending on the length of the shoot, you may need to process business visas for the incoming crew. While this is a more expensive option than #1, it’s also much easier and the good value for the peace of mind it brings. As such, all prep, scout, research and bookings must be done BEFORE applying for the permits. Applications can take between 2 weeks and 1 month to issue. To alleviate sleepless nights, it is best to apply sooner than later! Most foreign crew members must have a visa before entering (some foreign nationals are exempt. Contact us to check if this is applicable to your crew). In theory, the authorities will assign a government minder to your production, and this will be the same individual the entire time. You will need to allow for his transportation, accommodation and meals in your budget. In practice, we are often able to negate this, especially if we are acting as co-producers. Indonesia is a very large country with nearly 18,000 islands (6000 of them inhabited), and as such, it possesses several distinct climate zones. On Lombok, for example, you could be climbing up Mt Rinjani and experiencing near 0 degree weather while staring at perfect coral-reef islands down below. Overall, upon arrival and disembarking from the plane, you’ll immediately notice the sudden rush of warm, wet air. Indonesia is a warm place. It has no spring, summer, fall, or winter, just two seasons: rainy and dry, both of which are relative (it still rains during the dry season, it just rains less). While there is significant regional variation, in most of the country (including Java and Bali) the dry season is April to October, while the wet season is November to March. Filming in and around Ramadan, especially towards the end, is not especially recommended, though quite possible. While Indonesia is NOT a carnet country, we may need to process temporary import permits if your gear list is especially large. As such, sending us your list of gear is a priority and should be done fairly early in the pre-shoot process. While it’s often cheaper to rent some items in-country, it is sometimes difficult to find the right piece of gear. As such we highly recommend coming with most, if not all, of your gear. Van costs in Indonesia are very good value, costing roughly 100$/day (12 hours’ usage) which includes driver and petrol. As such, this makes Indonesia quite affordable in terms of land transportation. As benefits such a large nation, the country is well served in terms of flights. Domestic fares are reasonable, but delays quite common. As such, it is best to plan each schedule, especially departures from the country, with maximum buffer time in hand! 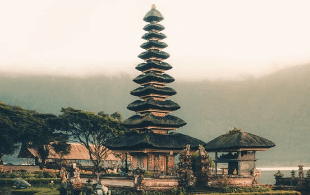 Jakarta and Bali offer the only true international gateways, although it is possible to fly directly to Yogyakarta from a few neighbouring countries. Finally, as Indonesia is made of so many islands, it goes without saying that boats are a very possible mode of transportation. In general, the more popular routes are quite safe, but the more remote one goes, the more it may be wise to charter its own ferry. In Jakarta, every possible range of accommodation exists, with 5-stars being somewhat cheaper than in the west. In provicial towns, we can often find Asian style 4-stars, again at great value. 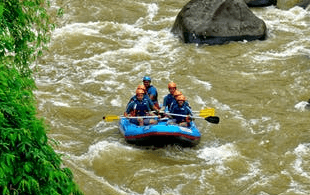 In provincial towns, excellent value can be had with higher-range hotels, whilst popular tourist areas like Yogyakarta and Bali arguably offer the best bang for the buck.